Hai Ning is hard at work planning Tian Xin’s wedding, and is stressing out like crazy. It certainly doesn’t help when Tian Xin is calling her to complain about Xiao Qiang. Her voice is so high-pitched that I once again turned down my TV volume. She huffs and puffs that apparently no one will accommodate her and just spontaneously blurts out that she doesn’t want to get married anymore. Okay whatever; no one cares. Even Hai Ning doesn’t care because she just puts the phone down while Tian Xin continues with her annoying complaints and demands, and even eventually hangs up on her. Amidst all this unnecessary wedding drama, Hai Ning receives a message on Facebook from her latest suitor. This guy is going by the name, “Lucifer,” aka Satan. Yeah, that’s not creepy at all. He texts her the next day that he can see that she’s a very kind person, right after she had helped someone in a wheelchair get over a street curb. She asks him if he can see her right now. He responds that it’s not just now that he can see her because he watches her go to work every day. Stalker alert! They talk over webcam, and while he looks like a normal dude, he still says a bunch of really weird stuff to her. Hai Ning should really be more careful of all these strange guys. Xiao Qiang comes looking for Hai Ning because Tian Xin apparently has run away from home. Classic case of wedding jitters, but c’mon…dramatic much? Hai Ning is able to track down a clothing store that she went to because Tian Xin sent her a selfie from there. Yup. Let the eye-rolling commence. Tian Xin ends up hiding out at a church and going to confession. After talking with the priest there, she’s ready to get married again. Hai Ning and Lucifer webcam again that night because she apparently wasn’t creeped out by him like I was. He suggests that they go to Venus together by closing their eyes and imagining it. This is so fricken weird. When they’re on Venus (just go with it…), he asks her why she’s looking for a husband because he thought that only imperfect people would go to such extremes to get married. She laughs off his question, and asks him what he’s doing here then. He tells her that he wants to experience love for once in his life. Free trip to Venus? Eh, why not. Lucifer goes on to say a bunch of stuff to suggest that he’s actually THE Lucifer, but Hai Ning doesn’t buy it. He tells her that there’s a way that he can prove it to her. He asks her to name any amount of money, and he’ll give it to her with no strings attached. Hai Ning goes along with it and names a random number, but she still doesn’t believe him. Then, he decides to serenade her with a love song because he’s always wanted to do this for a girl. To be honest, dude is not a very good singer, but Hai Ning seems to enjoy it. When Hai Ning goes into work the next day, she finds a package addressed to her. She finds wads and wads of cash inside it. She then gets a text from Lucifer, and figures out that he’s the one who sent it. She tracks down where the package was sent from, and it’s the front desk of a hospital. Universe does some online sleuthing to find out that Lucifer got rich from playing the stock market a few years ago. So, he’s human after all? Knew it! When the money is counted, he had given Hai Ning the exact amount that she had named the night before. Hai Ning messages Lucifer to meet her on Venus again. What an honest person to not take the money and run. When he shows up, she asks him if he “fell to Hell” when he got sick and if he hid from her because he was afraid of her finding out. He tells her that she’s only half right. Hai Ning tells him that if he just continues to offer things to another person with no strings attached, it doesn’t represent love. When he responds that that’s just what happens when you’re in Hell, Hai Ning tells him that he doesn’t have to stay there anymore. 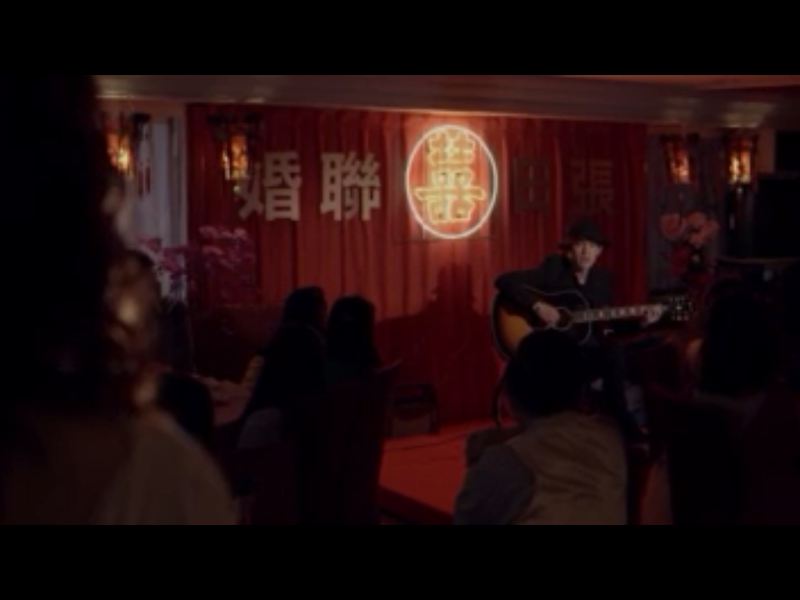 She wants to meet him in person, so she invites him to sing at Tian Xin’s wedding. Lucifer surprisingly agrees. Despite Hai Ning stressing out like a madwoman over the wedding, it goes off without a hitch. When it comes time for Lucifer’s performance, Hai Ning is surprised to see him in a wheelchair. She finally understands why he was reluctant to show his real self to her. It turns out that he was the man in the wheelchair that she helped on the street the other day. And Lucifer already knew about Hai Ning because he saw and overheard her talking on the phone with Cheng Hao after their breakup. After the wedding, Lucifer disappeared. With Universe’s help, Hai Ning was able to track his IP address to his workplace, a lottery ticket store. After waiting several days for him, Hai Ning finally sees Lucifer there. He’s embarrassed for her to see this imperfect side to him. When she asks him how he’s been doing, he tells her that even if he finds his true love, he will never be able to leave Hell. The good news is that he finally found someone that he likes in this lifetime. It’s her, right? Lucifer tells Hai Ning that when he sees his mom worrying about him, he doesn’t want there to be another person having to worry. He says that even though he has been rejected by love, he still has love in his life. Hai Ning doesn’t agree with this, but Lucifer is okay with the cards dealt to him. He tells her that he wishes that she can find someone who truly loves and cherishes her, and hopes that she can just remember the time they spent together on Venus. She asks him why Venus of all places, and he responds that because Venus is so perfect. Hai Ning agrees with Lucifer that only imperfect people go on blind dates for marriage. As for her own imperfection? She was so scared of losing that it caused her to avoid love. Universe puts his nail tech skills to work when he’s in charge of customizing a red nail polish for Tian Xin for her wedding day. Hai Ning tries to negotiate a discount for the wedding by offering to advertise the restaurant to more people for their weddings. The restaurant owner asks if she’s married, and when she says no, he scoffs at the possibility of her bringing him more business. When Hai Ning runs into Zhong Wen (the bike-riding delivery guy), she peer pressures him into being Tian Xin’s wedding photographer. Dude does not look game at all for this assignment. Do you blame him? Outer space? Please let me see Do Min Joon. I’m really loving this show – the insights that come from her dating experiences are very well written. I’m looking for a complete cast list so I can start looking up other Tdramas with some of these actors – have any suggestions? If you like Sunny (suitor in ep 10), check out In Time With You; he is the second lead with Bolin Chen and Ariel Lin. It’s one of my all time favorites! Jerry Huang (the ex bf) also plays a small role in it 🙂 ironically another ex bf haha! Sunny is not a nice guy in that film but In Time With You is a favorite of mine. @humbledaisy1, Christopher Lee (the main guy, Zhe Ming, in MRW) won the Golden Bell Best Actor award for the drama, “A Good Wife.” I didn’t watch it, but maybe that’s something that might interest you! I also thought this marriage candidate was kind of iffy due to the creepy beginning of the episode. O_O” Anyways I liked the ending scene, with him telling HN that he hopes she’ll find someone to be with. I feel that HN is getting more and more emotionally involved with each marriage candidate she meets. What’s the name of the actor who played the candidate in episode nine? the guy with the disease?